PYMNTS.com CEO and Coupa discuss streamlining the process of spend management. Sign up to view on-demand webinar! 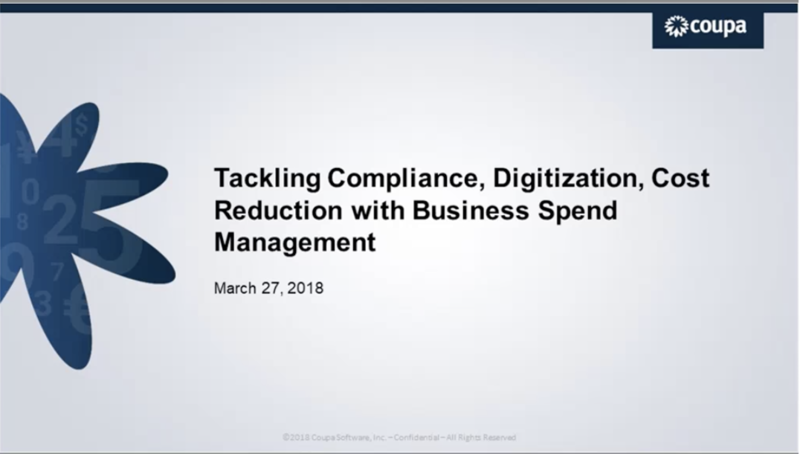 View this On-Demand webinar with Amit Duvedi, VP, Business Value Engineering at Coupa along with Karen Webster, CEO of PYMNTS.com and learn about improved techniques for financial services firms to increase visibility and control, improve compliance, and manage risk–all while lowering costs to improve margins.